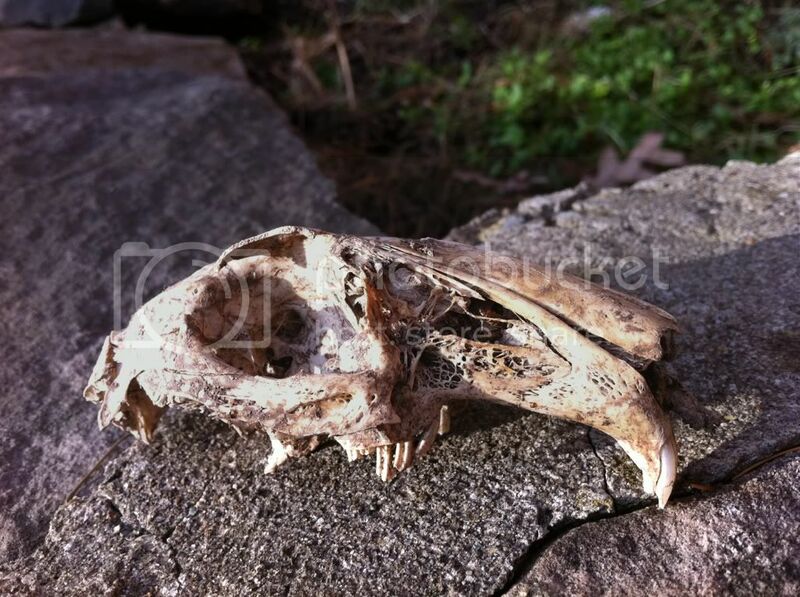 Catskillmountaineer.com Forum • View topic - What type of skull is this? 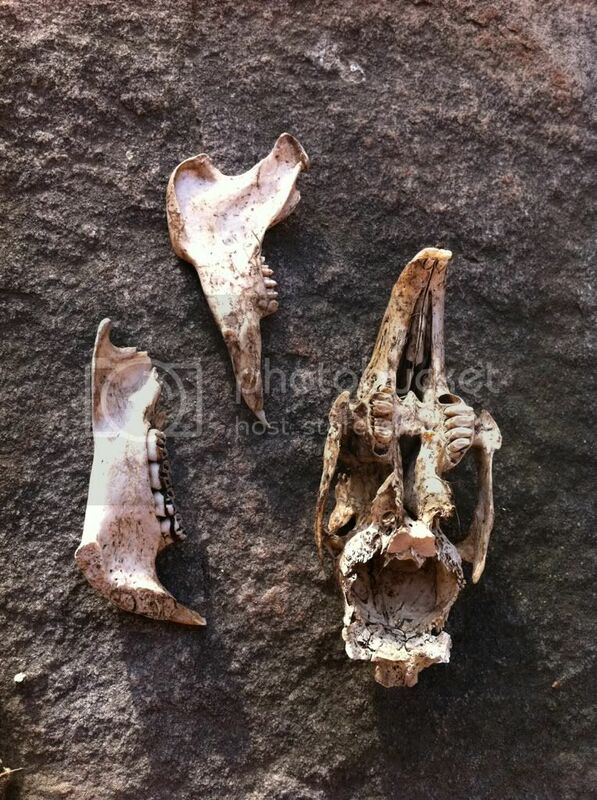 What type of skull is this? Anyone know what this is? I found two of them next to the road where someone dumped them. There were some of its other bones as well but I didn't photograph them. 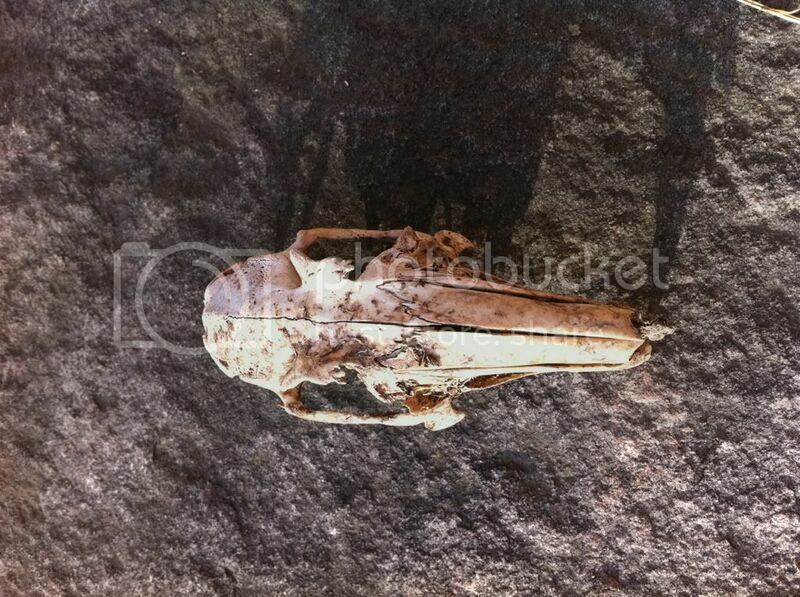 Re: What type of skull is this? It looks like a deer skull to me. I should have taken the picture with a ruler to give a scale. What threw me off is that this skull is 4 inches long, max. Probably a fawn. They get preyed upon when they are born. For the first couple of days they are very vulnerable.